Dragonex is an exchange offering a variety of cryptocurrencies like Ethereum. This platform provides simple instructions in processing transactions from setting up an account to buying your first Ethereum. The steps below will help you start trading Ethereum on Dragonex. To start, open the Dragonex site. Once the website is opened, select your method of registration; it could be via mobile or email. Type in your email address or phone number, depending on which registration method you picked. In this example, we selected mobile registration, so we need to confirm the captcha and the SMS code sent to your mobile number. The page will then confirm that the registration process has been successful. Log in to continue accessing your newly created Dragonex account. Perfect! You have successfully signed up an account on Dragonex. Prior to making transactions on Dragonex, you need to make sure your account is secure. Click the drop-down arrow near your account located at the upper-right hand corner of the screen. This is the “man” icon. 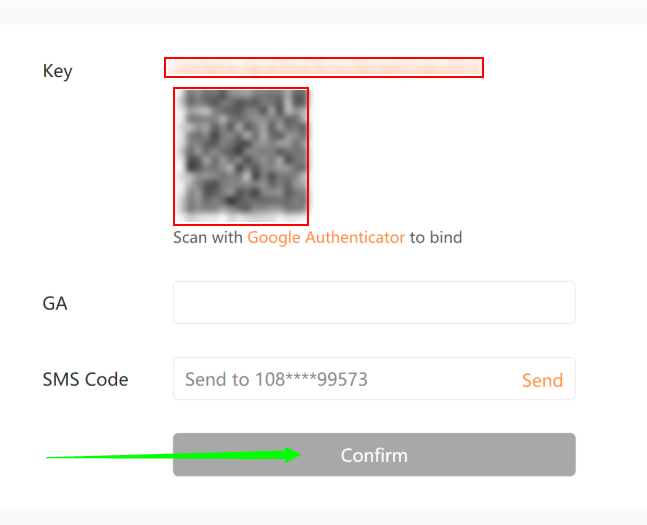 At the left side of the screen are menus, locate “ID Verification” below “Security.” ID Verification is composed of three stages namely, Primary Authentication, Intermediate Authentication, and Senior Authentication. All three needs to be completed for you to gain access to every feature available. Select your region, type in your Name and ID Number. Click on “Submit” to continue. Upload the photos required and click on “Submit” to continue. Great job! You have identified yourself on Dragonex. Scan the barcode to generate a six-digit code. Enter this code on “GA” as well as the SMS code. Click on “Confirm” to continue. Excellent! You have secured your Dragonex account. You can view different cryptocurrencies and helpful information to help you decide which Ethereum you’d like to transact. Select your Ethereum and scroll down to go to the “Buy” section. Enter your desired amount and click on the “Buy” button. Congratulations! You have bought your first Ethereum on Dragonex. Transferring Ethereum from Dragonex to other exchanges. How to transfer Ethereum from Dragonex to Bits Blockchain? How to transfer Ethereum from Dragonex to BCEX? How to transfer Ethereum from Dragonex to B2BX? How to transfer Ethereum from Dragonex to Upbit? How to transfer Ethereum from Dragonex to Coinfloor? How to transfer Ethereum from Dragonex to QuadrigaCX? How to transfer Ethereum from Dragonex to HADAX? How to transfer Ethereum from Dragonex to OEX? How to transfer Ethereum from Dragonex to LBank? How to transfer Ethereum from Dragonex to Fisco? How to transfer Ethereum from Dragonex to BTCTrade? How to transfer Ethereum from Dragonex to Qryptos? How to transfer Ethereum from Dragonex to Coinone? How to transfer Ethereum from Dragonex to BTCBOX? How to transfer Ethereum from Dragonex to OOOBTC? How to transfer Ethereum from Dragonex to CoinTiger? How to transfer Ethereum from Dragonex to Bitstamp? How to transfer Ethereum from Dragonex to KuCoin? How to transfer Ethereum from Dragonex to xBTCe? How to transfer Ethereum from Dragonex to Bibox? How to transfer Ethereum from Dragonex to CoinFlux? How to transfer Ethereum from Dragonex to Bittrex? How to transfer Ethereum from Dragonex to Binance? How to transfer Ethereum from Dragonex to YoBit? How to transfer Ethereum from Dragonex to OKEx? How to transfer Ethereum from Dragonex to OKCoin? How to transfer Ethereum from Dragonex to MixCoins? How to transfer Ethereum from Dragonex to itBit? How to transfer Ethereum from Dragonex to BTC-Alpha? How to transfer Ethereum from Dragonex to Bithumb? How to transfer Ethereum from Dragonex to BitBay? How to transfer Ethereum from Dragonex to Lykke? How to transfer Ethereum from Dragonex to Independent Reserve? How to transfer Ethereum from Dragonex to EXMO? How to transfer Ethereum from Dragonex to DSX? How to transfer Ethereum from Dragonex to LiveCoin? How to transfer Ethereum from Dragonex to LakeBTC? How to transfer Ethereum from Dragonex to Bitlish? How to transfer Ethereum from Dragonex to BitInka? How to transfer Ethereum from Dragonex to Bitfinex? How to transfer Ethereum from Dragonex to ANXPRO? How to transfer Ethereum from Dragonex to 1BTCXE? How to transfer Ethereum from Dragonex to Gatecoin? How to transfer Ethereum from Dragonex to Kraken? How to transfer Ethereum from Dragonex to Gemini? How to transfer Ethereum from Dragonex to Coinbase? How to transfer Ethereum from Dragonex to CEX.io? How to transfer Ethereum from Dragonex to bitFlyer? How to transfer Ethereum from Dragonex to GDAX (CoinBase Pro)? How to transfer Ethereum from Dragonex to RightBTC? How to transfer Ethereum from Dragonex to EXX? How to transfer Ethereum from Dragonex to gate.io? How to transfer Ethereum from Dragonex to Exrates? How to transfer Ethereum from Dragonex to CoinsBank? How to transfer Ethereum from Dragonex to Indacoin? How to transfer Ethereum from Dragonex to Bitbank? How to transfer Ethereum from Dragonex to Allcoin? How to transfer Ethereum from Dragonex to DigiFinex? How to transfer Ethereum from Dragonex to Idax? How to transfer Ethereum from Dragonex to BitForex? How to transfer Ethereum from Dragonex to Simex? How to transfer Ethereum from Dragonex to Coinegg? How to transfer Ethereum from Dragonex to Coinbene? How to transfer Ethereum from Dragonex to TOPBTC? How to transfer Ethereum from Dragonex to Coinsuper? How to transfer Ethereum from Dragonex to Poloniex? How to transfer Ethereum from Dragonex to HitBTC? Transferring Ethereum from Dragonex to wallets.